With a tree-branch inspired design, this contemporary-styled coat rack is slim in stature but big on personality. 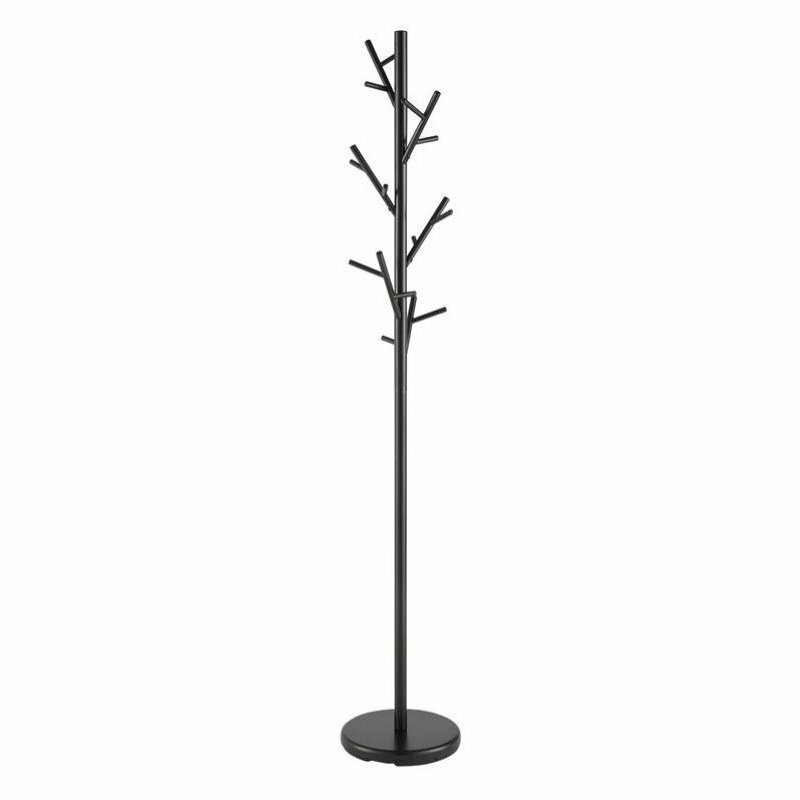 Constructed with metal and finished in black, this coat rack affords a clean, muted look. With varying levels of hooks to hang your garments, this coat rack is perfect for the large family or those that frequently entertain! 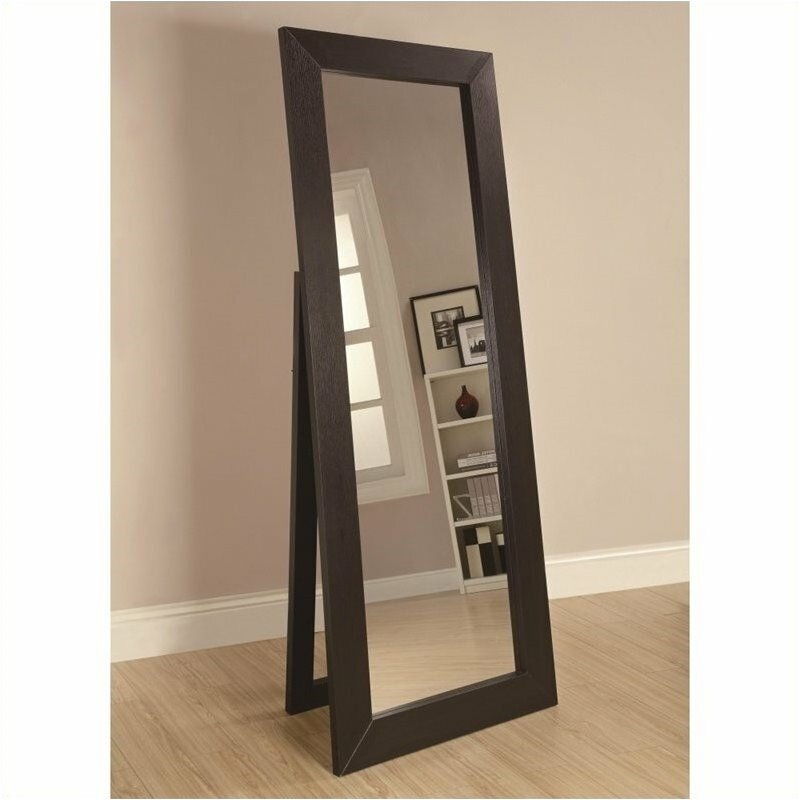 This floor mirror features a thick beveled frame, finished in a beautiful dark cappuccino. 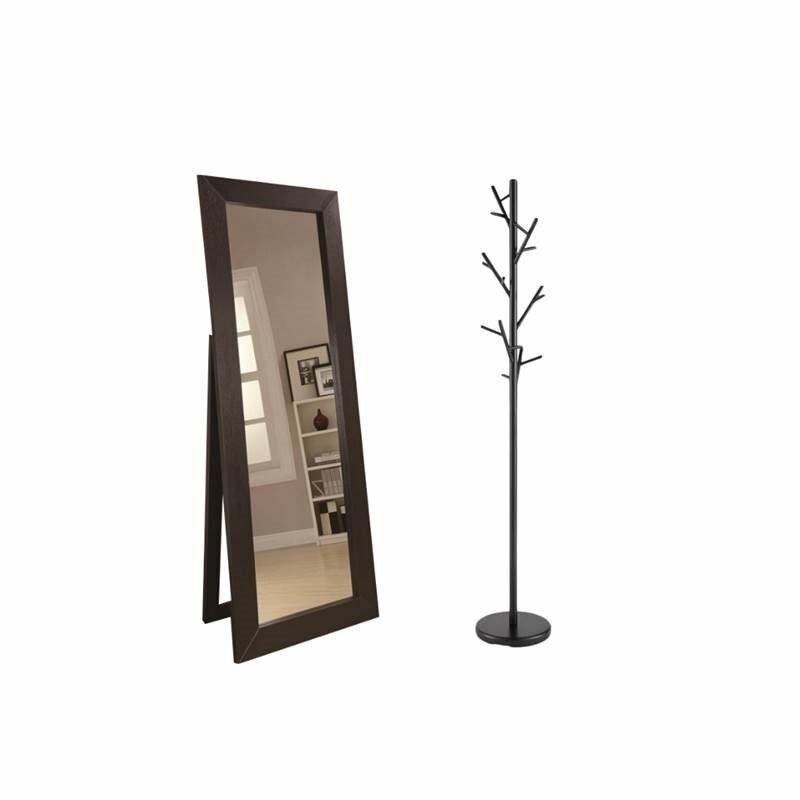 Its dark cappuccino finish contrasts with nicely with the mirror's glass. Thanks to a folding back support piece, you can adjust the mirror as needed to ensure it's positioned at your preferred angle.